People can't tell the difference in fat levels in various products. Most ice cream connoisseurs will insist full-fat versions taste better. However, researchers have now shut that myth down, discovering that people can't tell the difference in fat levels in various products. In a series of taste tests with nearly 300 regular consumers, academics from Pennsylvania State University found that participants were unable to distinguish a two per cent difference in fat levels in two vanilla ice creams as long as the samples were in the six to 12 per cent fat-level range. While the subjects were able to detect a four per cent difference between ice cream with 6 and 10 per cent fat levels, they could not detect a four per cent fat difference in samples between 8 and 12 per cent fat. The researchers also found that fat levels did not significantly sway consumers' preferences in taste. For example, the consumers' overall liking of the ice cream did not change when fat content dropped from 14 per cent to 6 per cent. "I think the most important finding in our study was that there were no differences in consumer acceptability when changing fat content within a certain range," said lead author Laura Rolon. "There is a preconception of 'more fat is better,' but we did not see it within our study." Professor Robert Roberts noted the study results may challenge some ice cream marketing that suggests ice cream with high-fat levels are higher quality and better-tasting products. 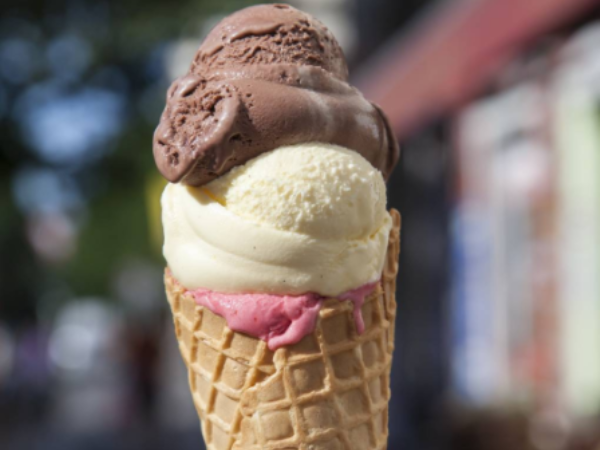 "People think premium ice cream means only high fat ice cream, but it doesn't," he shared. And because there are only slight differences in taste perception and preferences at certain fat levels, ice cream manufacturers may have more latitude in adjusting their formulas to help control costs and create products for customers with certain dietary restrictions without sacrificing taste, according to the researchers. The full study has been published in the Journal of Dairy Science.